Home to a flourishing abalone industry, Mallacoota is located at the far east of the region and enjoys a reputation as an outstanding family holiday destination. 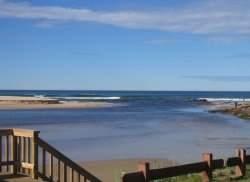 Clean beaches, excellent fishing, productive river flats and a wilderness setting add to the charm of the Genoa/Gipsy Point and Mallacoota district. Bush nursing facilities exist in Mallacoota, along with education to year 12 and a busy retail, industrial and accommodation centre. 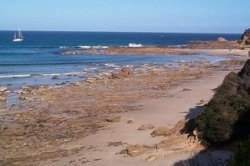 Betka Beach - there are numerous beautiful beaches along this part of coast. The mouth of the Betka River provides safe swimming in the shallows for children, good fishing and has facilities for a picnic or BBQ. Other nearby beaches are also popular for swimming, surfing and walking. 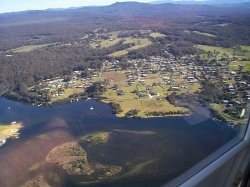 Lake System - Mallacoota is on the banks of an extensive lake system, which provides excellent opportunities for wildlife watching, boating, fishing, bushwalking or just relaxing. 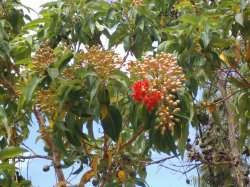 The Bottom Lake, Top Lake, Maramingo Creek, Genoa River, Wallagaraugh River and the Betka River systems give endless pleasure. Great Boating Waterways - there are 305 Kms of lake shoreline in the Top and Bottom Lake system for you to relax fishing, exploring and meandering. Throughout the system there are jetties with gas and wood BBQs. 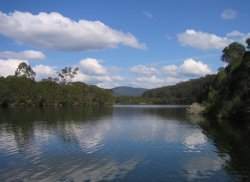 Karbeethong - is an area of Mallacoota overlooking the Bottom Lake. The name "Karbeethong" is derived from the indigenous name for "moonlight over the water". The lake reflects some beautiful images day and night, especially early morning, dusk and during the phase of the full moon. Kangaroos - arguably some of Australias most predictable mobs of kangaroos reside in the Mallacoota district - Gipsy Point, Mallacoota Golf Course, near the Pony Club and other areas. Croajingolong National Park - is 450km east of Melbourne and 550 km south of Sydney along the Princes Highway. Access to the park is via a number of unsealed roads starting from the highway between Cann River and the NSW border, or from Mallacoota. Camping fees apply and bookings are essential for the summer and Easter holiday periods. Most campsites throughout the park are 2WD accessible and have basic facilities.